Snapchat has known for a long time that their platform could be monetized. 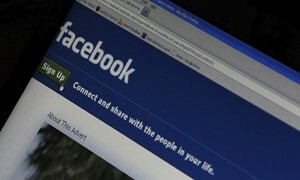 That’s why they turned down billions of dollars that were offered when Facebook attempted to purchase them. However, we hadn’t seen many ways that Snapchat was actually pursuing these sorts of endeavors, apart from some occasional ads that have made their way into users’ Snapchat apps. This week, however, things changed with the launch of Snapchat Discover, which will be offering content from brands such as CNN, ESPN, Comedy Central, and more. 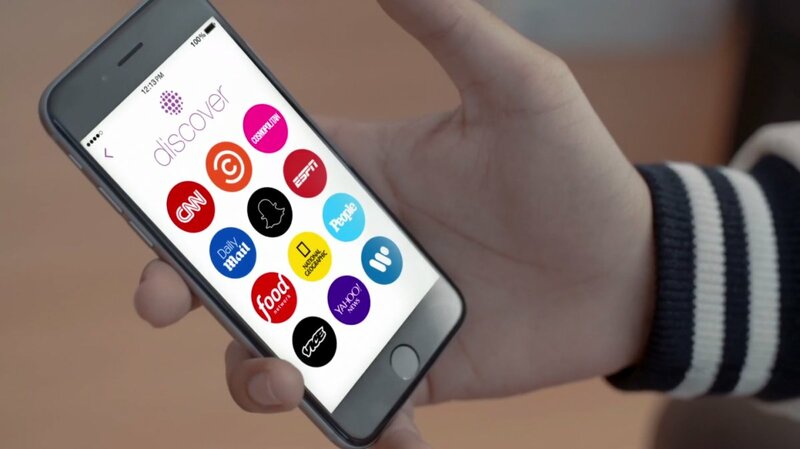 Snapchat Discover will allow all sorts of different brands to deliver content to users and users can pick which brands they hope to see information from. These brands will be able to regularly launch their own ephemeral content for users to check out and Snapchat Discover will be regularly refreshed with new options for users to browse through. The featured brands will change from day to day. Snapchat Discover launched with CNN, Comedy Central, Cosmopolitan, Daily Mail, ESPN, Food Network, National Geographic, People, Vice, Yahoo News, and Warner Music Group, but these will change daily. Snapchat is not requiring companies to pay to feature content on their app. The way that Snapchat Discover will work to generate money will be by selling ad space that runs alongside the content that is viewed through Snapchat Discover. For instance, CNN content appears alongside BMW ads, while Vice content shows up with ads for GrubHub. Snapchat Discover could be a real game-changer for the way different companies will be spreading information to their user base. Furthermore, being on Snapchat will allow these brands to expand their user base by offering content to a younger demographic, the group that most frequently uses Snapchat. Part of the way that Facebook continues to evolve its social network platform is by acquiring other companies and oftentimes integrating aspects of that company’s work into Facebook itself. In other cases, Facebook will make acquisitions that are mostly separate from the social network, such as when they purchased Oculus VR last year. Though purchasing Oculus might not do much to enhance Facebook itself, Facebook has made a couple of recent acquisitions that will. One of these acquisitions was Wit.ai, which is a startup that was founded a year and a half ago, focusing on voice recognition software. Wi.tai’s platform will still remain open and free to all, but Facebook will likely integrate this type of technology into Facebook itself in some way. In addition to that, Facebook is continuing a trend of helping out developers with building their apps, so that those developers will in turn pay Facebook for ads or split revenue with Facebook for hosting its ads. This is one of the reasons that Facebook acquires certain subsidiaries without immediately incorporating new technologies into their own social network. Another recent acquisition made by Facebook was that of QuickFire Networks, a company that is working hard on reducing video file sizes and upload times. 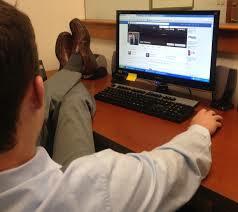 These sorts of things would be extremely useful for Facebook, which features video ads as well as video sharing. The hopeful end result of this acquisition would be lower buffering times without having to sacrifice the quality of the video. There have been reports appearing for a while that Facebook was working on an app that would more easily allow co-workers to communicate with one another. I talked about this briefly back in October. The rumors continued to be spread until yesterday, when Facebook finally officially unveiled their new application, known as Facebook At Work. Though it will first only be open to companies that have joined the program with Facebook, it will likely be rolled out more extensively later on. The app allows co-workers to easily message one another, post in groups, and set up events and tasks. Some news sources believe that Facebook At Work will be making some serious waves and could change the face of corporations as we know it. Transforming the Facebook platform into a platform that can connect names with faces throughout a large company could help to keep growing corporations from feeling so inhuman. Smaller companies can suffice with other in-house messaging systems, but larger companies will truly benefit from a full-fledged social network for their company. Facebook At Work will keep information separate from Facebook itself, and privacy settings will be treated differently, as bosses will have access to any information posted by anyone in the company. The intention is that Facebook At Work will remain professional, while still being able to bring together people in a larger company or corporation. A hurdle that some companies may have to overcome will be getting employees to view this version of Facebook as something that’s pivotal to the company, rather than the time-waster and distraction it currently is for most employees. Not to be left behind, LinkedIn appears to be launching their own products geared towards co-worker communication. One of these products is an update to LinkedIn’s InMail service, which will allow co-workers to more easily contact one another. Another yet unnamed product is also being worked on, which will make it easier for administrators to send information to groups of employees. One of the things that many people seem to love about certain social networks is their ability not only to share images, but to make those images look like they were taken by a semi-professional photographer, despite these images generally being captured via phone. 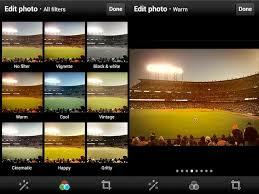 For a long time, Instagram has offered a plethora of photo filters that users can choose from before uploading a photo. Though other social networks have offered similar features, Instagram has long been the best choice for adding photo filters. However, as of last month, they may finally have some genuine competition in the form of Twitter. Twitter initially launched their own photo filters in 2012, likely in response to the popularity of Instagram’s own filters, but the implementation of these filters left something to be desired. Initially, potential filters were shown on small thumbnails and the interface was not especially intuitive. In December, Twitter updated their photo filters to appear in the form of a row so that you can easily tap through them on your phone to choose which photo filter you wish to use. On top of this, Twitter’s photo filters are now adjustable, another feature that appears to have been adopted from Instagram. Not wanting to be left behind, Instagram quickly responded with five new filters of their own: Slumber, Crema, Ludwig, Aden, and Perpetua. This is a big deal to Instagram users, because new filters have not been added to Instagram in more than two years and this update brings Instagram to a total of twenty-four filters. In addition to launching new filters on their platform, they have also given users the ability to rearrange their list of filters to move the ones they use to the top of the list or even to hide the ones that they never use. These updates give users more customization options when it comes to the photos that they wish to share.